Amazing prizes are within your reach at Abdali Mall! 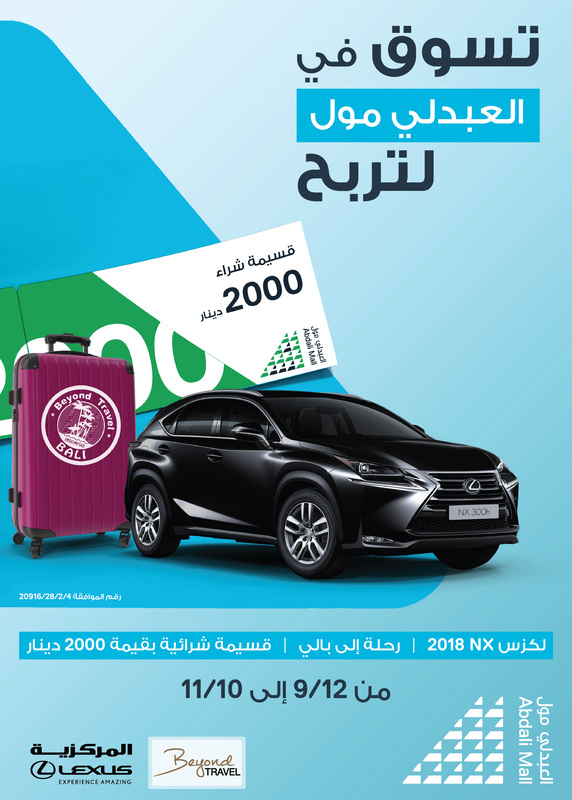 Shop for JOD 50 or more at Abdali Mall and enter the draw to win a 2018 Lexus NX, a 6 days/ 5 nights trip for 2 to Bali – Indonesia, or a shopping voucher from Abdali Mall worth of 2000 JDs. Stay updated on the latest Events and Happenings?